Quiet house on the beautiful mooreland of Netherland. Walking and biking area. 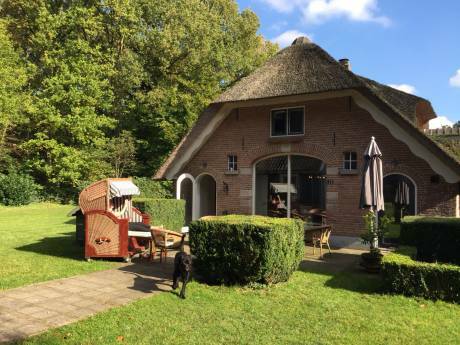 Our house is in a very quiet nature-area in Elspeet with excellent view over the mooreland. When we are at home the house is partly used for B&B. A part of the building with our private sleepingroom and sanitair, is closed when we change houses. 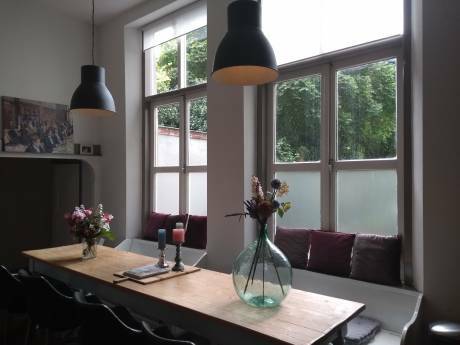 Downstairs you have a toilet, full-equipment brand new kitchen, living-room with serre and study-room. Upstairs are 4 bedrooms and a bathroom with toilet. Outside are a veranda and terraces. There are also two seperate buildings. One of them is partly a holiday-home and the other part is from the B&B. The other building is garage and storage for gardentools etc. When you like nature and a peaceful area, we are sure you will enjoy your stay here. There is a open view over the mooreland. Our house is located in a protected nature-area with an unpaved path to reach the house and a small paved path for bikes. In the area is a lot to do and see. Nearby are Dolfinarium (Harderwijk), Palace Het Loo (Apeldoorn), the famous National Park De Hoge Veluwe with Kroller Muller museum, Golfcourse (Nunspeet),zoo's and caracteristic villages. And off course many routes for cycling, horseriding and walking through forest, mooreland and nice villages. It is about 1 hour drive to Amsterdam and 45 minutes to Germany. When you look at www.heidezicht.nl you can see a part of the house and more information about the area. We are man and wife of 50+ years old. We like to meet other travellers and so we started with our Bed & Breakfast and a holidayhome. Our visitors always likes to be here in this beautiful and quiet area. Our other great hobby is travelling, nature and other cultures. Ton is early retired from working at the national airport Schiphol and now we both takes care for the B&B.